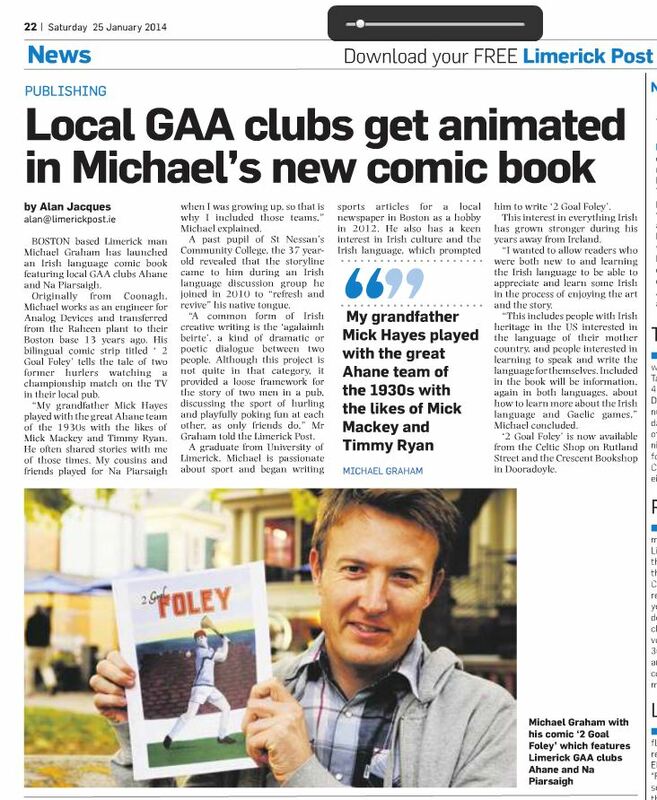 News of the comic book broke in Limerick via the Limerick Post newspaper. The digital edition is available on line. The feature is on page 22. Click here, or view the snapshot below.